Last week's race:16 Year old Wins First Race on new surface! What's On Tap This Saturday Night! Speed is a priority for Jacob Gomes. The 16-year-old Mantecan likes to drive fast and hasn't wasted any time becoming a successful racer who recently moved up to the NASCAR Western Late Model level. Gomes won last week's WLM race in his first race at Stockton 99 Speedway in four years and will run the longest event of his budding career when he competes in the 150-lap first leg of the Tri-Holiday Classic today at the track. The program begins at 6 p.m. Racing schedule: NASCAR Western Late Model 150-lap main event, with Grand American Modifieds (75 laps), Streets Stocks (60) and Bombers (40). 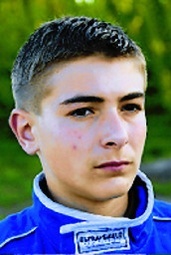 Gomes, a sophomore at East Union High, said he is following his dream of eventually driving on the Nextel Cup circuit. "I pretty much go to school, come home and start working on race cars," he said. "This is what I plan to do the rest of my life. Hopefully, one day I can make it to the big leagues and make money doing what I love to do." So far, he has proven he can win a bunch of races and has an interesting streak going. In each of his racing divisions - Box Stock, Mini Cup, Baby Grand and Western Late Model - he won his first main event on his sixth start. "I didn't even know last week was his sixth Late Model race until after he won and I went back and counted," said Paul Gomes, Jacob's father. "All we were looking for this season is solid finishes and getting laps in. We didn't expect him to win this fast in a bigger, heavier car." Jacob Gomes began racing Box Stocks at Delta Speedway when he was 6 and went on to win four Mini Cup titles before progressing to the Baby Grand and WLM classes. Paul Gomes said his son always adopts a more serious disposition when he's in a race car. "Sometimes when he puts on a helmet, it's like he's a completely different person," Paul Gomes said. "He goes from joking and laughing to being serious and doing what he needs to do." In last week's race, Jacob Gomes started 12th and passed Stockton veteran Greg Potts with five laps to go in the 50-lap race. Potts wanted the win, but he said he was impressed by the younger driver. "For me, it's nice to run with a young lion like that. He's got a ton of talent," said Potts, 50, who will be competing in the Tri-Holiday Classic. "He got up to speed (in the WLM division) pretty fast." Today's race will be another challenge for Jacob Gomes, whose previous longest run was 111 laps. "I just want to get out there and run, save my tires and hang around to have a shot late in the race," Jacob Gomes said. Stockton 99 promoter Ken Clapp said NASCAR Camping World Series West competitor Mike David of Modesto would be racing today, as will Stockton 99 regulars Vito Ranuio of Stockton and David and Justin Philpott of Tracy. 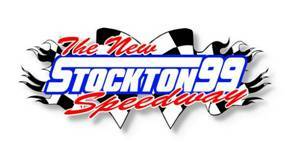 Tony Noceti admits he's trying to go "old school" with some of the decisions he's making at Stockton 99 Speedway. The track promoter remembers many years ago when former track manager Whitey Rich would schedule 150-lap late model races. And now that Noceti is in charge, he's bringing it back. The first leg of the Tri-Holiday Classic will be at 6 p.m. Saturday at Stockton 99. There also will be 150-lap races in the series on July 4 and Sept. 5. The holiday races for the NASCAR Western Late Model class at Stockton 99 have been 100 laps in recent years, but Noceti wanted a change. "When I came to the track 20 or 30 years ago, when Whitey was the manager, all those races were 150 laps," Noceti said. "The regular main events were like 20 laps. "Now, a 100-lapper almost feels like a regular Saturday night because we already run 50 on a regular basis. So I think this makes it special." Noceti, who has spent more than 20 years as a racer, said the longer format will be a good challenge for the drivers. "It really changes things for them. That's a lot of laps," Noceti said. "Guys are going to have to save their cars and tires, and run smart races. "We'll see who the real drivers are." The race will be run on a new track. The asphalt was put down a week ago, and Saturday was the first race on it. "Overall, everyone seemed pretty happy with it," Noceti said. "It was tough early on until people began to put down some rubber on the track, and the times of the laps really sank. It will get better this week, and this is going to be a very fast track." The other divisions also will have longer races than usual. The Grand American Modifieds will go 75 laps, the Street Stocks 60 and the Bombers 40.